U.S. Travel’s impact prediction encompasses expected spending by attendees on items such as lodging, meals, transportation and general retail, as well as spending by each host committee, funding for security, etc. Throughout its 75-year history, the U.S. Travel Association has conducted extensive economic research on domestic and international travel activity. This includes frequent economic impact studies of major travel-related events, such as meetings, conventions and holidays, as well as significant interruptions like severe weather events and government shutdowns. U.S. Travel economists generated the convention impact figures using hotel data provided by the travel research firm STR, as well as other travel and economic statistics. The organization’s goal is to highlight the substantial and positive economic and jobs impact of large, in-person meetings such as the political conventions. U.S. Travel is amplifying its message that travel is “serious business” with an advertising campaign targeted at convention attendees. 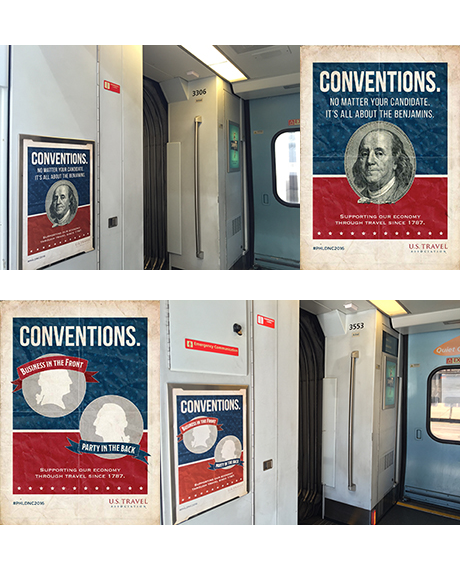 The organization has placed ads extolling the economic value of the political conventions at Cleveland Hopkins International Airport and in Amtrak Acela trains in the Northeast Corridor. Additionally, U.S. Travel will have a branding presence at each convention’s POLITICO Hub, oases featuring refreshments, speakers and entertainment. U.S. Travel-sponsored items at those venues will include several convention “necessities”—including charging stations for electronic devices, pillows, chewable coffee and oxygen bars. A more detailed version of the impact predictions by U.S. Travel researchers is available here. You might be knowing that San Diego has numerous varieties of food on account of its proximity to the Pacific Ocean which means fish is fresh and abundant. For fine dining, head downtown. The Oceanaire Seafood Room and Blue Point Coastal Cuisine are well regarded for their prime Gaslamp District locations and delicious dishes. In case if you prefer the seafood with a side of ocean views, try George’s at the Coveor Anthony’s Fish Grotto on the Bay. Here you will find plenty of food trucks stationed around the city. Foodie-approved trucks include Devilicious, MIHO Gastrotruck and Tabe BBQ. For Italian eats, head straight to the source: Little Italy. Meanwhile, Barrio Logan and Old Town serve up some of the city’s best Mexican food. It is interesting to note that the city of San Diego has the unique appeal with its mix of Spanish, Mexican and American cultures. The city’s eclectic nature as a border town has greatly influenced its art, architecture, politics, and even its food. While you’ll encounter this dynamic medley of cultures in nearly every pocket of San Diego, the city’s neighborhoods are especially representative. Just explore Barrio Logan inhousing the city’s Hispanic community while Little Italy plays host to the neighborhood’s namesake cuisine. Aside from its diverse neighborhoods, San Diego’s multifaceted culture is also displayed in some of its top attractions. Balboa Parkfeatures several popular art museums, including the San Diego Museum of Art, the Timken Museum of Art and the Museum of the Living Artist, not to mention the Spanish Village Art Center. You should also know that San Diego is home to the U.S. Navy’s largest base on the west coast. Aside from the Naval activity you’ll witness in and around the bay, you’ll also see the city’s military population formally honored every September during Fleet Week. Check the calendarThere are numerous events and conventions throughout the year, ushering in thousands of visitors at any given time. Plan your trip around San Diego’s event calendar to avoid high hotel rates. Skip summerThis is the peak tourist season, meaning hotel rates skyrocket while availability plummets. Instead, try for an early spring or late fall getaway. Hang your hat downtownHotels along the beaches charge hefty fees for their views. You’ll find more affordable lodging in the downtown area. Surf’s upBefore diving in, make sure to check the weather and surf conditions at San Diego’s beaches. 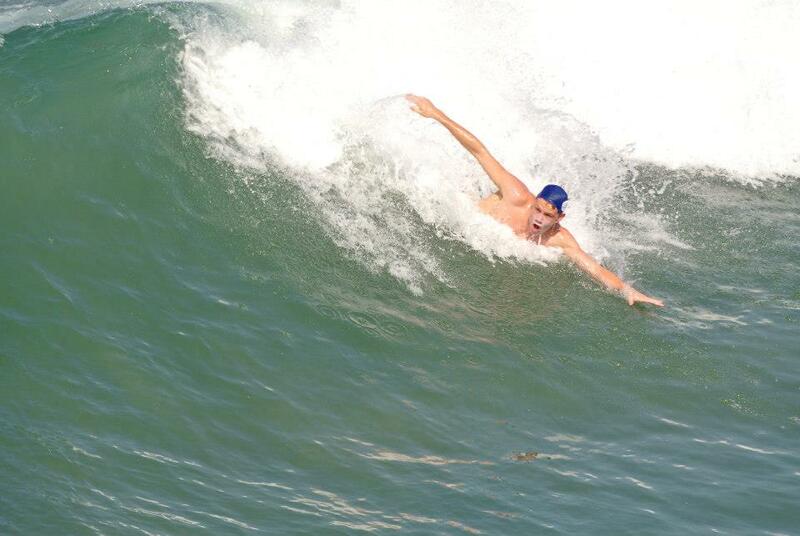 Heavy tides and rough waves can ruin a leisurely Pacific swim. Have your own wheelsYou’ll discover that exploring San Diego is much easier in a car. Plus, there are many parts of the city where public transport is scarce. Consult the tourism site for dealsThe San Diego Tourism Authority offers coupons here. You might be interested to explore the city of San Diego with its sunny weather and 70 miles of magnificent coastline. Moreover, you cannot afford to miss its mouthwatering cuisine, thriving nightlife and one of the country’s favorite zoos. Just explore its mesmerising beaches like the Mission Beach to soak up the rays, to La Jolla to catch a wave and to Coronado for a leisurely seaside stroll. The eventful nightlife is sure to absorb you as well. Spend the upcoming weekend in San Diego enjoying everything California’s Beach City has to offer including these top things to do. 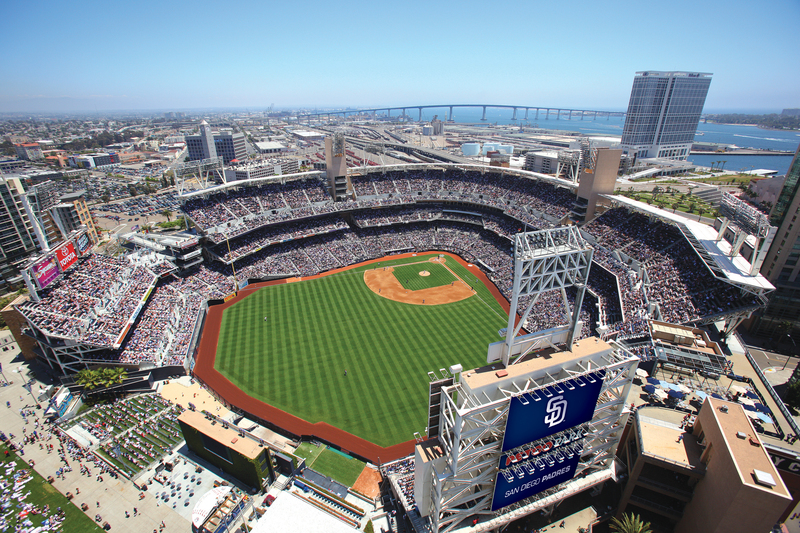 Catch the San Diego Padres take on the Arizona Diamondbacks at Petco Park. Game day promotions and giveaways include: Thursday – Joe Nichols pregame concert, Friday – WineFest, Saturday – SD Lunch Bag or SD Bottle Holder, Sunday – KidsFest. From rubber Godzillas tearing apart the South Seas to surfin, Go Go dancing Frankenstein and Wolfman, creatures have always been lurking in paradise. This year Tiki Oasis celebrates our monster brethren from King Kong (1939), Godzilla and Creature From the Black Lagoon (1954) to the famous monsters of Hollywood (1932-1950s). This is the main event! 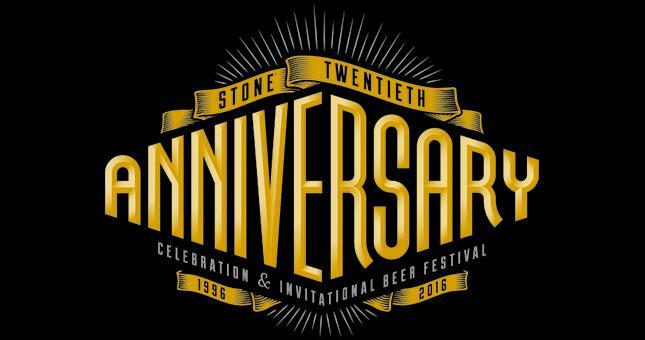 Stone Brewing’s 20th annual Anniversary Celebration & Invitational Beer Festival has become the biggest craft beer festival in Southern California, and this year promises to be the best one yet! In week two of the preseason, the Chargers make their home debut against the Arizona Cardinals. Don’t forget to get to the stadium early to check out all the pre-game festivities. 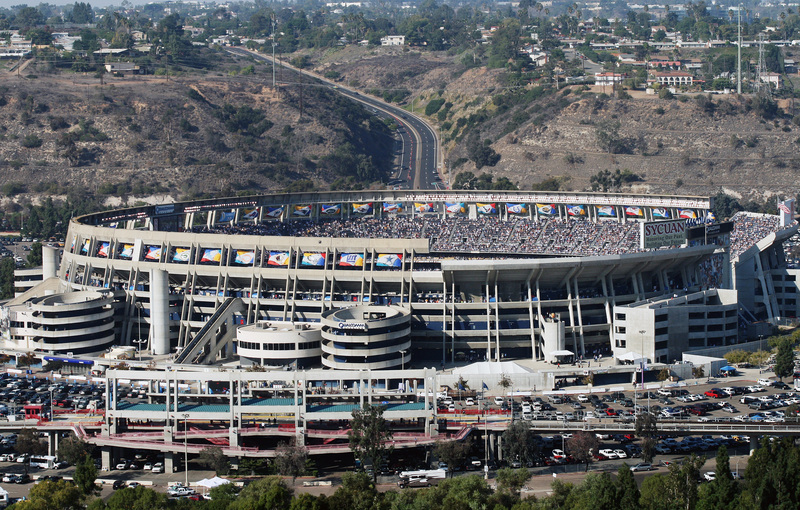 The parking lot will open 5 hours before kick-off and Qualcomm Stadium will open its gates approximately 90 minutes before kick-off. We hope to see you there! BeachSport.org announces the 40th Annual World Bodysurfing Championships to be held next to the Oceanside Pier. Approximately 350-400 bodysurfers from around the world will compete in their respective age divisions for trophies and prizes. The Men and Women’s Grand Champions will be announced Sunday afternoon on the final day. An event of celebration filled with the richness of Polynesian culture which advocates supreme values! It is an experience our guests will never forget. Hevia will celebrate friendship, music, dancing, drumming, singing, arts & crafts and islands spirits! Come escape with us into our Tropical paradise. This will be a fun and family-oriented event! 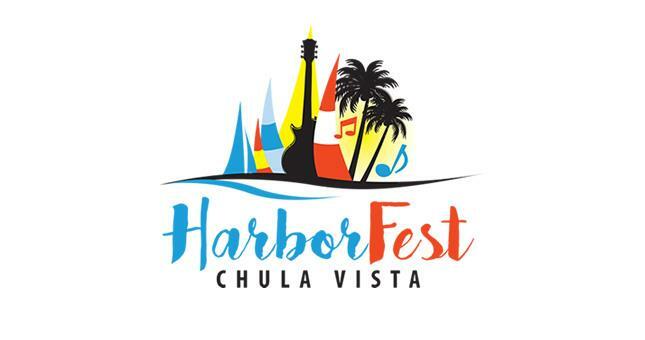 Enjoy the art, food, and fun including free kayaking, stand-up paddle boarding, and fishing. Take an exciting ride on the Vietnam-era Swift Boat or tour the bay on the amphibious SEAL Bus. The “Tacos & Spirits Fest” will feature the best tacos around with chefs competing for your vote! Discover regional specialties among the wine, craft spirits and beer tastings. Back by popular demand is the Junior Chef Competition led by SeaWorld Aquatica’s Chef Axel Dirolf! 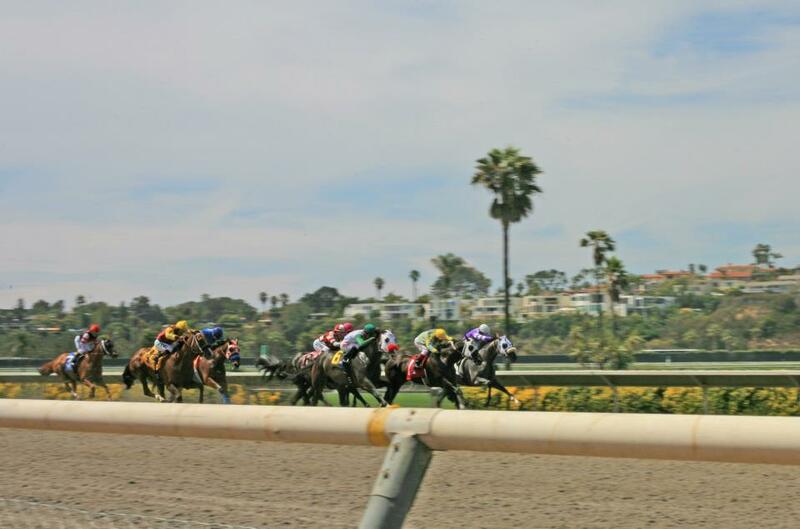 Del Mar’s richest and most prestigious race, the $1,000,000 Pacific Classic (Gr. I). Watch many of the country’s top horses compete at the classic distance of 1 1/4 miles in the 26th running of Del Mar’s signature event. The Pacific Classic will anchor a stakes triple header program that includes the 7-furlong Pat O’Brien Stakes and the Del Mar Handicap on turf, both Gr. II events for 3-year-olds and up. One of the most horrifying and wickedly gruesome shows in television history is bleeding off the screen. “American Horror Story,” FX’s critically-acclaimed, Emmy and Golden Globe Award-winning television series that has terrorised viewers for five suspenseful instalments, will come to life at “Halloween Horror Nights” at Universal Orlando Resort and Universal Studios Hollywood, beginning in September. Three chapters of “American Horror Story” will haunt the best, most intense Halloween event in all-new frightening mazes. Guests will embark on a terrifying journey to become the next doomed residents of Murder House from instalment one, tortured performers in the disturbing and twisted Freak Show from instalment four, and victims of the otherworldly, death-dealing hotel from instalment five. For the first time ever, guests will venture through Ryan Murphy’s ground-breaking horror anthology, encountering a plethora of iconic scenes and memorable characters designed to jolt them to their core. Twisted scenes from Murder House will unleash the evil spirits that possess the Harmon estate, spiralling guests through decades of the tortured dead who previously resided there. In Freak Show, guests will join a troupe of biological misfits in a sinister sideshow where they’ll be stalked by the murderous and deformed Twisty the Clown. Finally, guests will succumb to the warped desires of The Countess after checking in to the haunted Hotel Cortez, conceived from the beginning as a torture chamber for its customers. “‘American Horror Story’ is one of the most disturbing television shows ever produced, and with such perverse storylines unfolding with each instalment, ‘Halloween Horror Nights’ is undoubtedly the only place that could create a living version of the nightmares that Ryan Murphy dreams up,” said John Murdy, creative director at Universal Studios Hollywood. A fusion of flavors using fresh, local ingredients, California Cuisine is the popular result of the Golden State’s take on gastronomy. For an incredible Italian meal paired with an even better wine selection (without reservations! ), check out Bistro Don Giovani in Napa Valley. Known for its fusion cuisine, stop by Koi in West Hollywood for baked crab rolls with edible rice paper. Any restaurant on Fisherman’s Wharf in San Francisco will offer some of the freshest seafood around, but for an amazing outdoor artisan food fair, check out the farmers’ market. You might be knowing that as the third-largest state in the U.S., you will find here in the city of California numerous transportation options for getting to and around California. A highly accessible state, each region has several airports that have either direct or connecting flights to or from your destination. Los Angeles International Airport (LAX) serves the largest number of travelers in the state and is the most widely used airport in Southern California. San Francisco International Airport (SFO) is the second-busiest airport in the state, and serves the entire San Francisco Bay area, as well as many parts of Northern California. Flying may also be a reasonable option for in-state travel, as California consists of over 160,000 square miles of varied landscape. Due to the vast expanse of the state, a car is often the best mode of transportation. Trains and buses are also cheaper alternatives to getting around, with both local and regional stops throughout the state.